Mantic Games got funded rather quickly and they're rolling through the Stretch Goals pretty fast as well. They've got their sights set on even higher targets. Wow, what a response to our Kickstarter! Thank you all so much for pledging and helping us not only exceed our goals but also the first five stretch targets – it has been an unbelievable success! 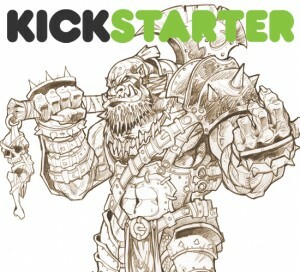 As soon as the Kickstarter is finished we will start sculpting the werewolves and the two ogre units! We’ve also taken a load of feedback on board and added some new pledge levels – if you want to see what’s new check out the Kickstarter Page and the new stretch target – it’s pretty exciting!